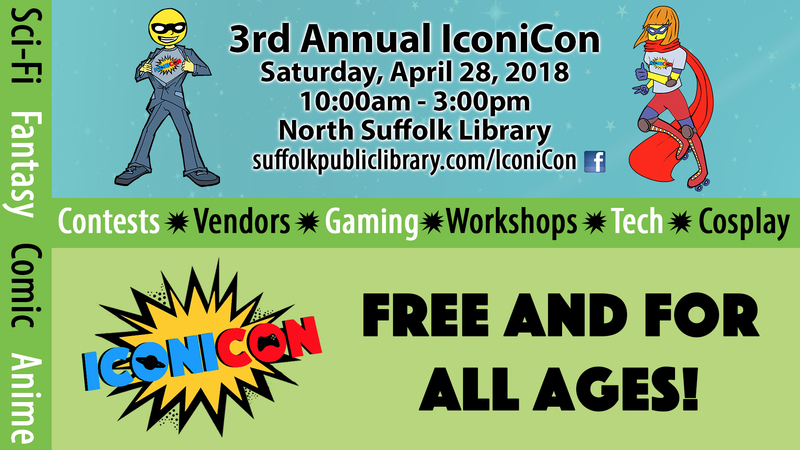 Stop by for Suffolk Public Library's 3rd annual, multi-fandom, IconiCon. Join us for the biggest free gathering of Sci-Fi, Fantasy, Comic and Anime fans in the area. Gaming Tournament, Cosplay Contest, Fan Art Contest, Vendors and more! This event is FREE and for all ages.